I have always enjoyed how writer and author Neil Gaiman could take an either well-known or obscure mythology and weave them into a new tale that drips with his trademark storytelling style, as evident by his magnum opus American Gods. 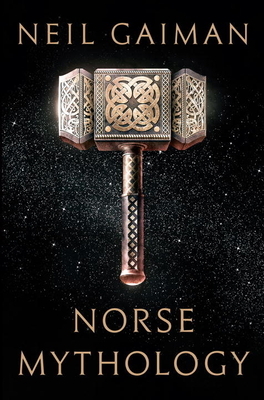 With Norse Mythology, however, Mr. Gaiman has done his utmost to preserve these timeless stories of Asgardians, Aesirs, giants, and even the origins of humanity while still managing to imbue his iconic voice. He has also managed to make the stories fresh and entertaining for today’s readers, arranging them in a manner that resembles an actual novel. If I were to ever have children and grandchildren, I could see myself reading these stories to them like Peter Falk and Fred Savage in the movie Princess Bride. Neil Gaiman’s Norse Mythology is in many ways familiar as it is new and inviting. Gaiman fashions these primeval stories into a novelistic arc that begins with the genesis of the legendary nine worlds and delves into the exploits of deities, dwarfs, and giants. Once, when Thor's hammer is stolen, Thor must disguise himself as a woman--difficult with his beard and huge appetite--to steal it back. More poignant is the tale in which the blood of Kvasir--the most sagacious of gods--is turned into a mead that infuses drinkers with poetry. The work culminates in Ragnarok, the twilight of the gods and rebirth of a new time and people.